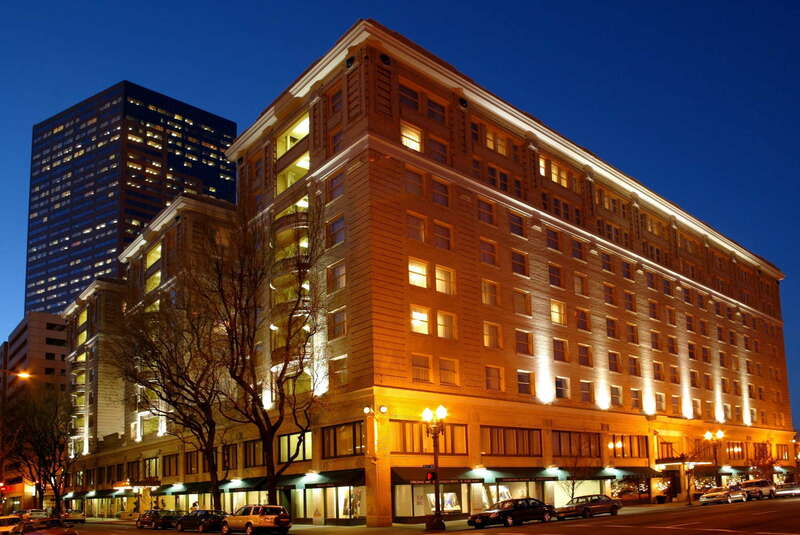 Located in the heart of Downtown Portland and just a few blocks from the Willamette River, Embassy Suites by Hilton Portland Downtown mixes historic architecture and old-world charm with the modern amenities you need to enjoy a comfortable stay in the City of Roses. 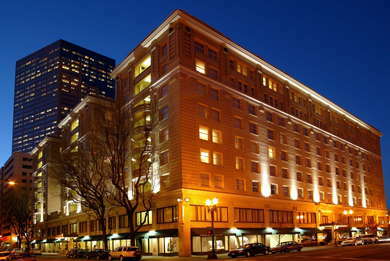 Most of the rooms in the Embassy Suites by Hilton Portland Downtown are - you guessed it - suites. The two-room suites feature modern decor that has a boutique feel, and many come equipped with upgrades designed to deliver a better stay (if you can, try to score one with a fireplace!). YOU SHOULD KNOW While most of the living spaces in the two-room suites are open and spacious, the sleeping areas can get pretty tight. 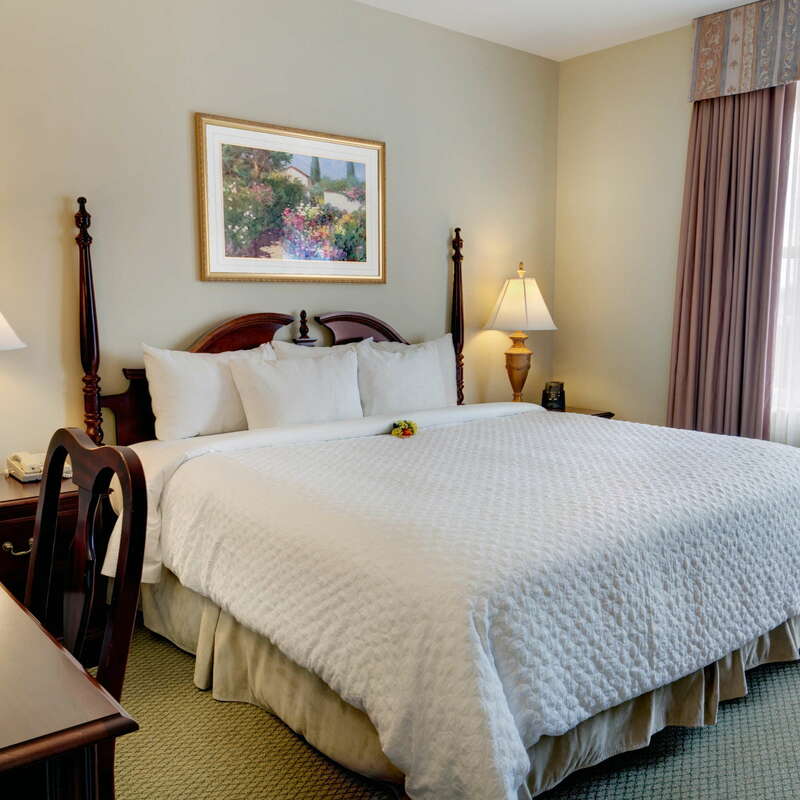 If you don’t like a cramped sleeping space, you might want to explore booking a more traditional room. The bathrooms are nice if a little lackluster. One nice feature? The hotel uses rounded shower rods, which makes the shower feel much more spacious. The Embassy Suites by Hilton Portland Downtown was built in 1912, and the classic architecture is on full display in the lobby. The crown molding and intricate details along the walls and ceilings is truly spectacular, while the open floor plan and well-thought-out decor make the space feel spacious and inviting at the same time. 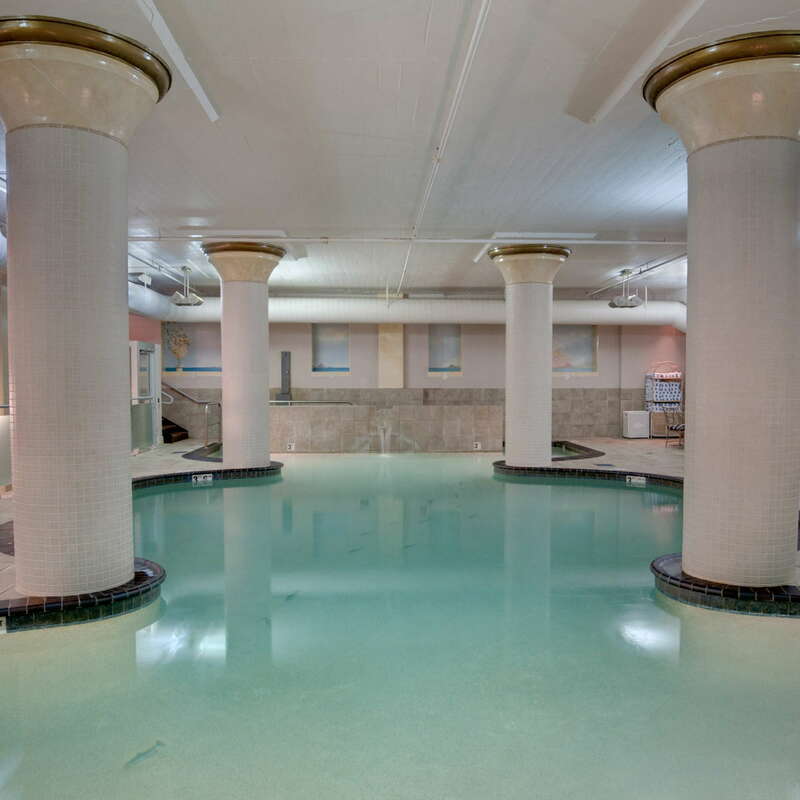 The indoor pool at Embassy Suites by Hilton Portland Downtown has an almost elegant feel, with large pillars spread throughout the room (a remnant of the building’s old-school architecture). 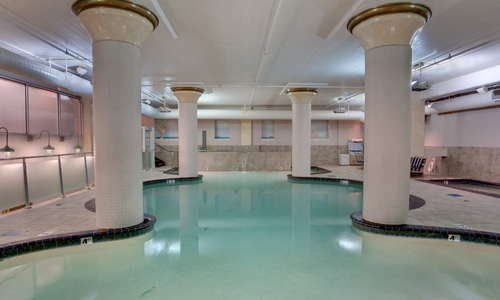 Even if you’re not in the mood for a swim, it’s worth making a trip to the pool room to take a dip in the hot tub, which is an especially nice feature after spending the day walking around Portland. The Embassy Suites by Hilton Portland Downtown has a fitness center with cardio equipment and weights - nothing spectacular, but it gets the job done. The Embassy Suites by Hilton Portland Downtown doesn’t have an on-site restaurant, per se, but they do serve a complimentary cooked-to-order breakfast that's included in your rate. Stop by the daily evening reception, which starts at 5:30pm, and grab a complimentary cocktail (and nosh on a few appetizers to hold you until you hit one of the area's many amazing restaurants for dinner!). 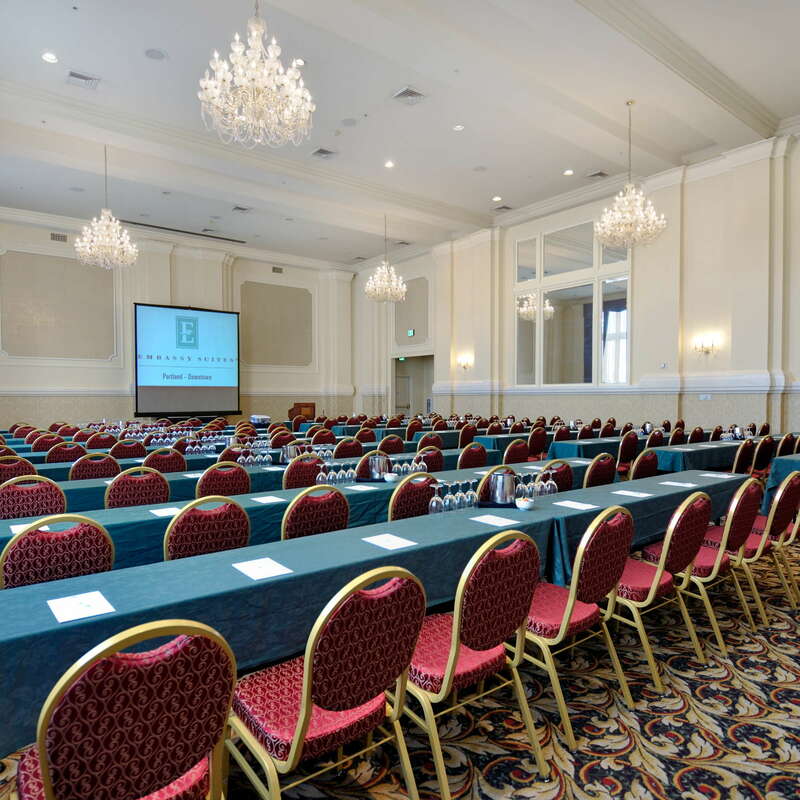 The Embassy Suites by Hilton Portland Downtown is smack in the heart of Downtown Portland, and there are plenty of things to do and see within walking distance and the closest MAX station is just a short 4-minute walk away. If you do decide to bring a car, parking prices are steep ($35 per night for self-parking, $47 for valet). Walk right outside the hotel and you'll find yourself at Tangier (1-minute walk), a local favorite with a great atmosphere that serves up some of the best Mediterranean and Moroccan cuisine in town. Portion sizes are large, so be prepared for leftovers! Mother’s Bistro and Bar (3-minute walk) is another great neighborhood spot that serves up a killer brunch (the french toast is not to be missed) in a fun, shabby-chic atmosphere. Portland is known as “beervana” and for good reason - the local brews are some of the best in the country. Try some of Portland’s best at Bailey’s Taproom (5-minute walk), which has 26 beers on tap (most of which are local). Also be sure to check out Deschutes Brewery Portland Public House (11-minute walk), which brews new beers on-site exclusive to the Portland location. 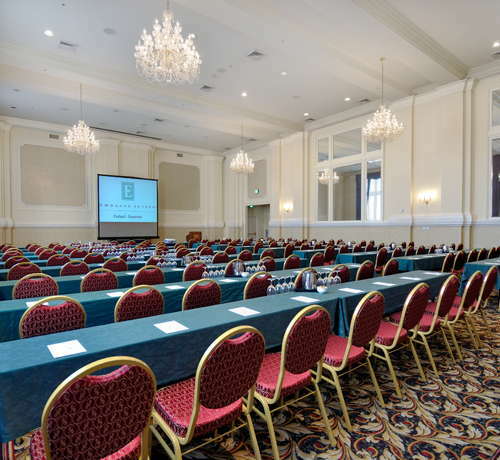 Embassy Suites by Hilton Portland Downtown has it all. You get a two-room suite so you have plenty of space. 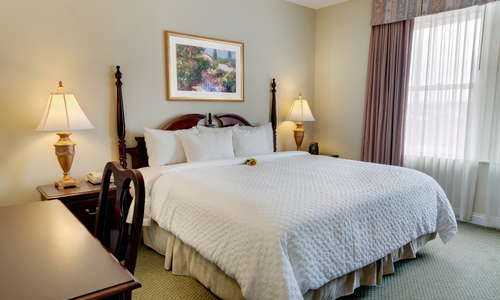 You get a complimentary cook-to-order breakfast every morning and a free drink every evening. You’re a stone’s throw away from some of the best food and entertainment in Portland. 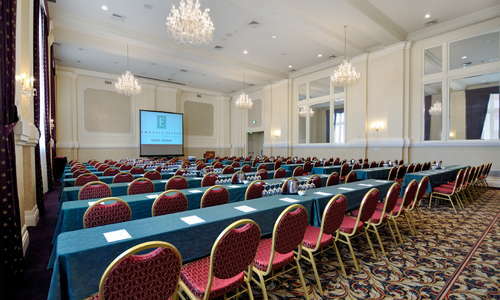 It might not be the fanciest hotel in the city, but it’s definitely one of our favorites. $$ &middot; Downtown &middot; 2080 SW River Dr.